A farmer in the rice field. 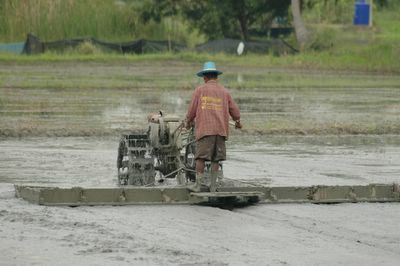 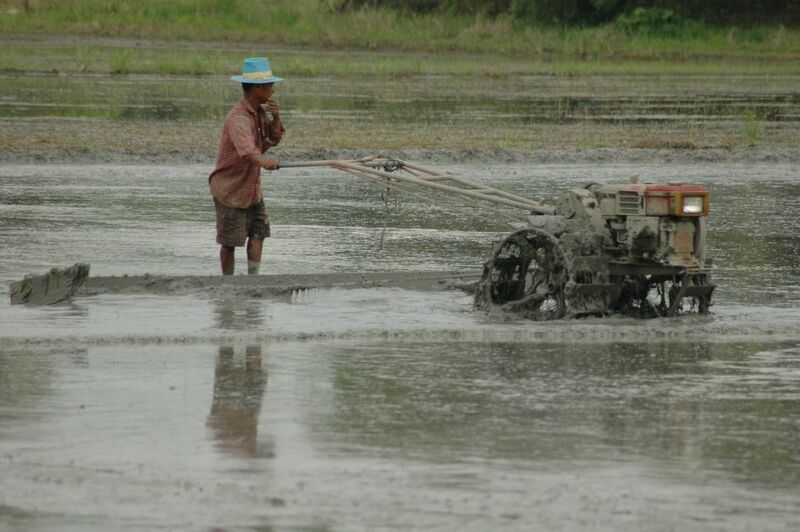 A farmer working in the rice fields outside Bangkok. 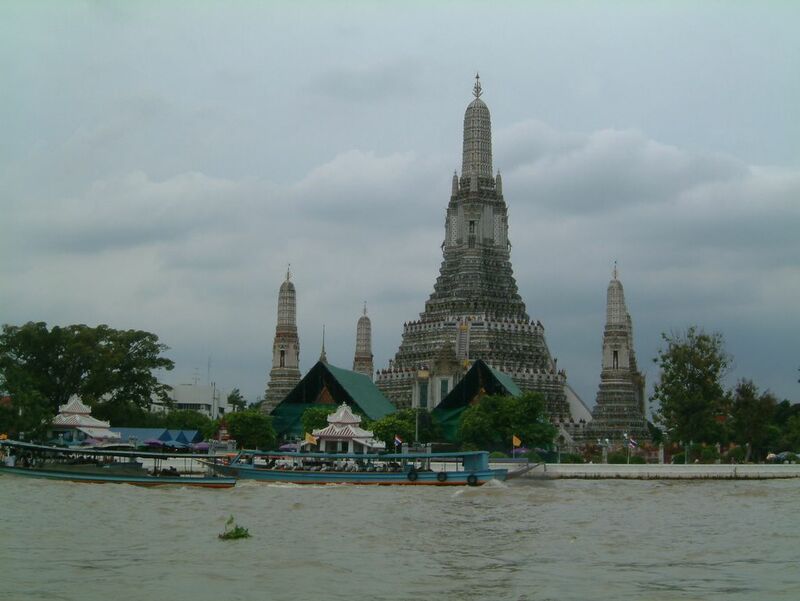 Wat Arun - the temple of dawn - Bangkok today on King Rama IX's 78th birthsday. 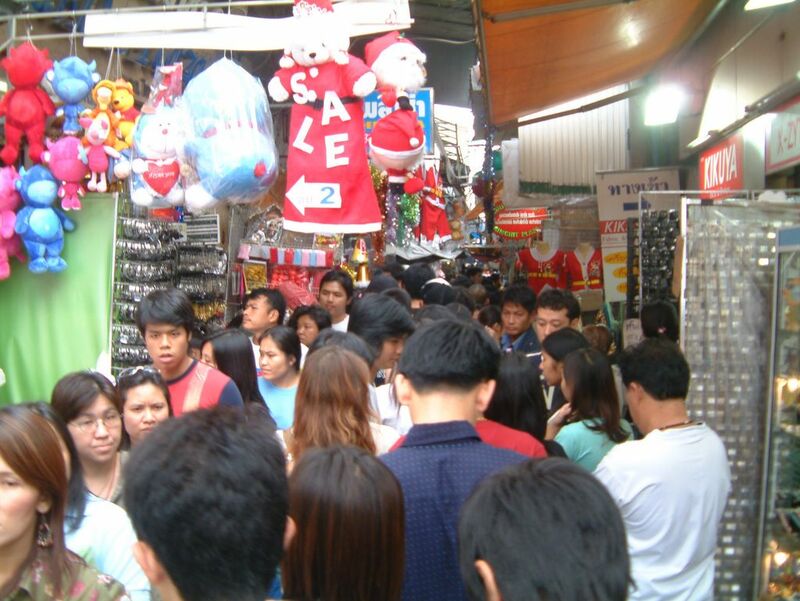 Busy China Town in Bangkok today. 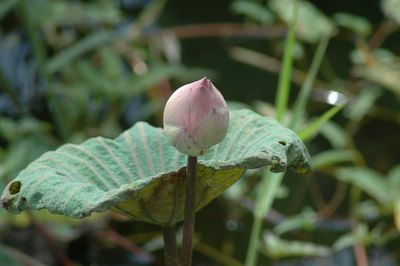 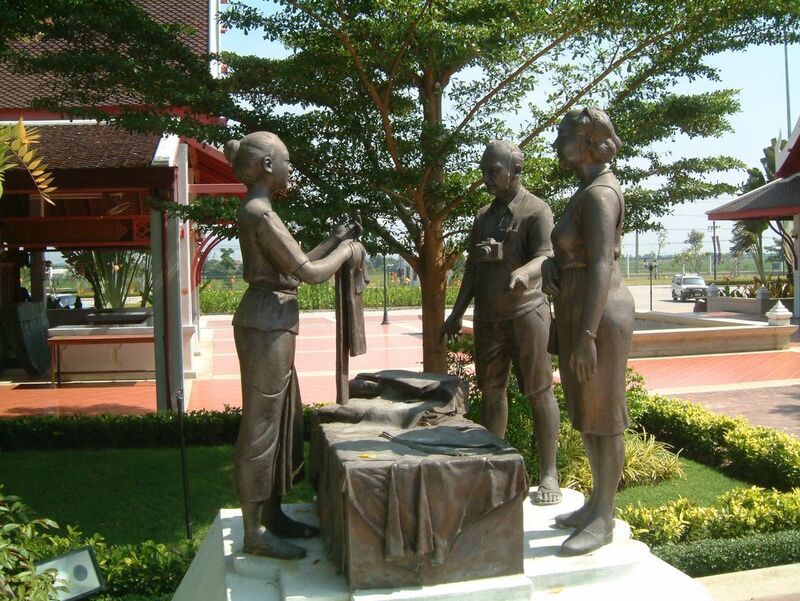 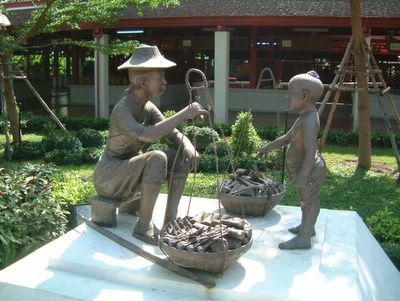 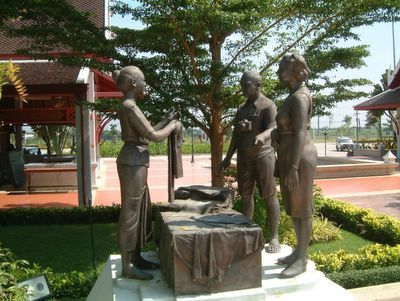 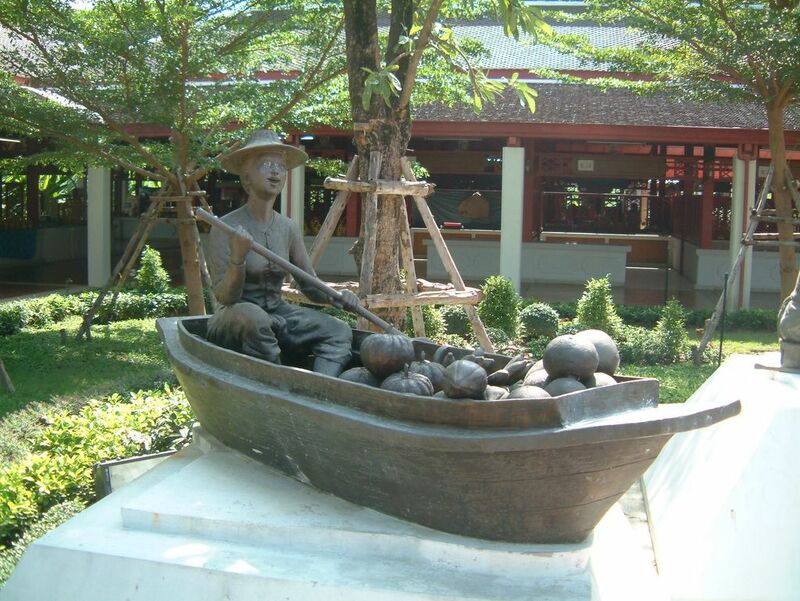 Thai sculptures of daily life in Thailand at Bang Sai art and craft center.